The SCG-Oxford Centre of Excellence for Chemistry (CoE) is a unique collaboration between SCG and the University of Oxford, which has dedicated laboratories in the Department of Chemistry. It focuses on the research and development in the area of Nanomaterials - production of very high surface compounds for applications in catalysis, packaging and automotive, and Catalysis - synthesis and characterisation of organometallic molecules for olefin polymerisation. Professor Dermot O’Hare, FRSC, serves as the Director and Dr Suracha Udomsak (SCG) as co-director. The main objective of the CoE is to act as a hub for academic/industry collaboration as well as delivering new innovation to SCG and impact at academic level. 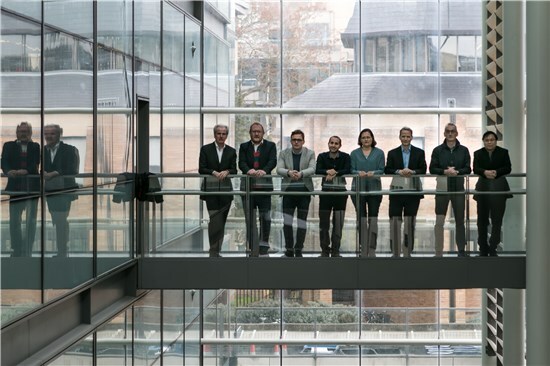 Since its establishment in 2012, the CoE team, at University of Oxford, currently includes forty-seven people, including fifteen professors, eighteen PDRAs, thirteen PhD students and one administrator who all contribute to the success of the collaboration. At SCG, from the President to researcher level, around twenty people are directly involved in producing academic and industrial relevant chemistry. Furthermore, four Oxford technologies have been licensed to SCG for further development. In total the current value of the total funds committed by SCG to the CoE is now over £10 million. Forty-four projects have so far been funded with three more in the pipeline. In 2015, the CoE created the SCG Innovation Fund (SIF). The purpose of this fund is to pump-prime exciting, visionary projects within Oxford Chemistry. SCG commits £100k annually to funding eleven projects of which half become of further commercial interest. The establishment of the CoE itself has strengthened scientific and commercial ties between the UK and Thailand leading to Professor Dermot O’Hare and SCG's presentation to HRH Princess Sirindhorn at the British Embassy, Bangkok in 2016. This was a tremendous honour for all concerned and the first time a commercial Thai organisation has been invited to showcase new chemical technologies to the Thai Royal Family.